- Boards NOT Accepted Only local to the Austin, Texas area boards can be repaired by Pinball Medic. We can no longer repair boards by mail. Please use our Contact page for Pinball board repairs. Pinball Medic is located in Austin, Texas. Pinball Games - Video Arcades - Electromechanical Gun Games. Our labor rate is $60 per hour plus parts. See our Services page for more information on the other types of coin-op game repairs we perform and their costs. Information on the boards in your game and pictures of the boards we repair are on our Board Identification Charts page. See our New replacement Pinball board sets page for more information. We install battery eliminator Memory Capacitors and remote battery holders. A memory capacitor replaces the often battery acid damaged battery holder with a non-leak Memory Capacitor. 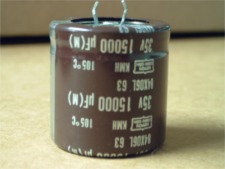 This capacitor can be installed on the original circuit board or on a custom made printed circuit board that replaces the battery holder. The board contains a discharge circuit used when shipping the board in for repairs. The capacitor board eliminates battery replacements and the potential for battery acid damage later on. A major cause of board failures. We charge $12.50 for the replacement battery board with a memory Capacitor installed plus labor to install the board. This is highly recommended by Pinball Medic, but will not be installed unless the customer requests it. Pinball Medic no longer does mailed in board repair. Wrap all boards individually in aluminum foil (batteries removed) then bubble wrap the boards and ship them in a solid cardboard box (extra padding is recommended). The aluminum foil helps to prevent static discharge damage to the boards during shipping. Note: The aluminum foil method was heavily used by the U.S. military to store and ship circuit boards and other static sensitive parts. Foil has been replaced by expensive conductive (anti-static) plastic bags. Include the Return Shipping charge and the board in the same shipping container. A typical package weighs one pound (per circuit board) and costs under ten dollars to ship by USPS Priority Mail. Shipping insurance is highly recommended as some boards are hard and expensive to replace. The cost of return shipping must be paid in advance. A Check or Money Order must be shipped with the boards. Return shipping cost can be higher or lower then the cost of shipping to Pinball Medic's Repair shop depending on shipping method and change in package weight. All names and images for informational purposes, are trademarked by their respective trademark holders. We repair CPU, Solenoid Driver, Sound, Display Boards (no dot matrix display boards), Aux Lamp Driver., Solid State Flipper Boards (Fliptronic I and II) and Power Supply Boards on Williams System 6,7,11, WPC, WPC 95, early 70's and 80's solid state (SS) Stern, Bally,Chicago Coin systems. We cannot program Gottlieb game roms for legal reasons. Pinball Medic sells new replacement Williams, Bally, Stern and Data East style Pinball machine boards. MPU, Solenoid Driver, Display Driver boards. Our labor cost is $70 per hour plus parts for electronic board repair. See our Services page for more information on the other types of coin-op game repairs we perform. Information on the boards in your game is on our Board Identification Charts page. Williams - System 3 and 4,Pinball 2000, Atari, Gottlieb, Capcom boards. Boards suffering from extensive battery-acid damage. Boards "hacked" by a previous repair shop, game owner. Boards with extensive use of these unreliable enclosed chip sockets. Repaired, unpaid for boards left at our shop for longer then 30 days will be considered salvage and will be sold. Pinball Circuit Board Capacitor Kits - contains all the capacitors that are usually one of the main problems with Pinball circuit boards. Kit includes a replacement for the obsolete 11000 uf cap found on most of the Classic Pinball Boards like Williams Sys 4-11,WPC,WPC 95, early solid state Stern, Bally,Chicago Coin, Power Supply Boards. Pinball Medic can install pinball game board and video monitor cap kits. See our PARTS page for more info. Also see our electronic parts page. $10 per chip socket replacement charge and $3 per chip socket. Pinball Medic can install pinball game board and video monitor cap kits.